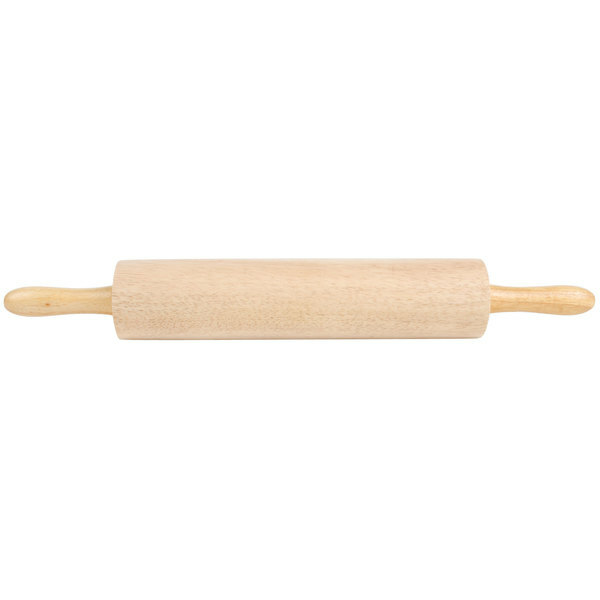 This rolling pin features high quality ball bearings for smooth and free rotation. The 13" length is perfect for smaller, more compact food items like mini pies, tarts, and cinnamon rolls. Boasting a smooth surface for easy cleaning, this rolling pin will help you and your employees work quickly and efficiently. I am pleased with this rolling pin. It isnt too long and I prefer the old classic wooden rollings pins over the metal and plastic. This is a nice big sturdy rolling pin for home use. I can't imagine wanting one of the bigger ones! Super well made and a great price! The 13" Wooden rolling pin is a good tool for flattening dough with minimal effort. The handles allow for added control while using the rolling pin. This 13’ wooden rolling pin is big. It’s 3 inch thickness, that’s makes it so much easy to roll your dough without having to put all your strength. Excellent quality and value. 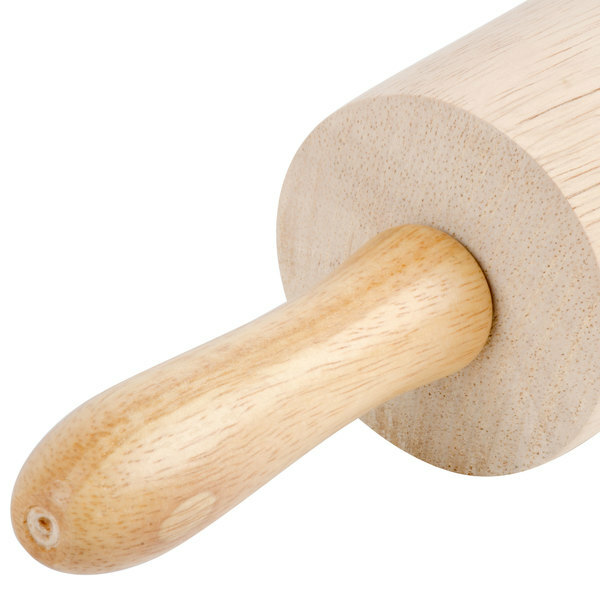 Heavy weight rolling pin that works great for any dough you need to roll. The handles are attached well and not loose, like others I've had. Great rolling pin. Very sturdy and easy to clean. I use it to roll out my doughs and sugar cookies. It’s also a good price. If you are searching for the classic rolling pin, look no further! These are exactly what you are looking for. They are sturdy and wash nicely. 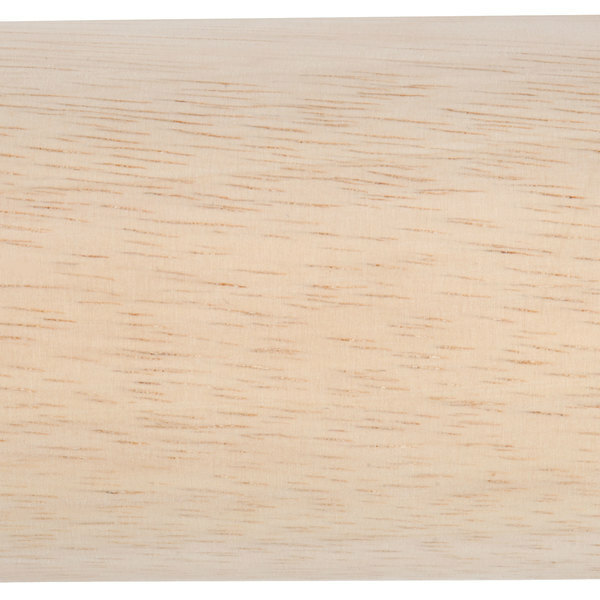 The sturdy design and tapered handles of this rubberwood rolling pin allow for non-slip usage. The quality ball bearing mechanism makes for smooth good operation. You definitely get a lot of rolling pin for your money with this guy! He is huge - probably just BARELY small enough for a residential kitchen, and even then it might be bigger than a home cook is looking for. However, it's definitely solid and it rolls well. Great buy for the price! Please see picture for size reference. you need a trust worthy product if you plan on making a culinary masterpiece.. 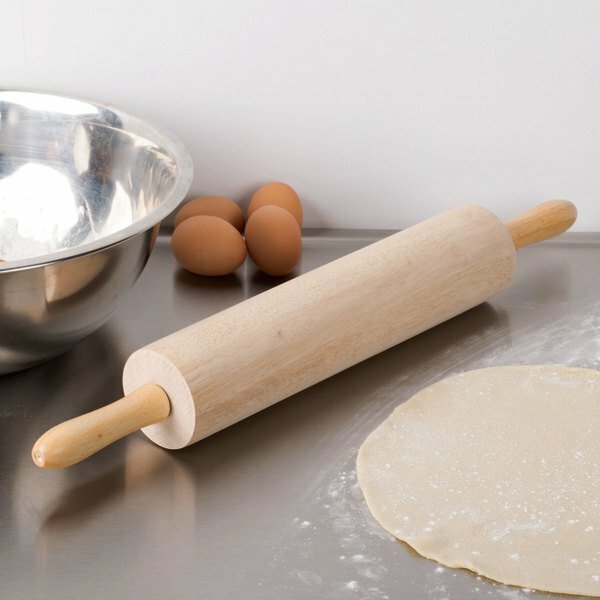 This sturdy rolling pin is a classic tool that is still perfect for rolling out dough for all you baking needs. Feels pretty solid and does the job. Heavy but not unwieldy. 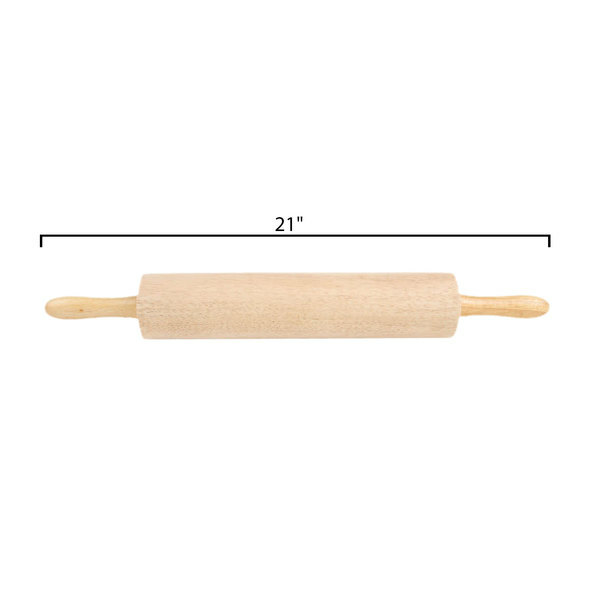 It rolls pretty smooth and is overall a great rolling pin considering the price. Handy rolling pin for all types of pastry. Pie dough, pizza dough, cinnamon roll dough, puff pastry! Just a great value and size! Have other sizes as well. This is a very sturdy and smooth rolling pin. The price is great, and it is very easy to clean. It makes rolling dough a snap! Can't go wrong with this product. I bought this to use for my scones and it works perfectly. It is really durable and great for a lot of use or a busy kitchen. Definitely bigger then thought it would be it is great when you are being lazy and you just need it to do most of the work. Didn't realize it was big but it gets the job done. Use it for home and works well. I would recommend getting a smaller one if for use at home. With the right operator and the right task this rolling pin is great. We use a lot of inexperienced volunteer help and the handles bent pretty quickly under the weight of people leaning into them. We found the french style rolling pin to work best for our application.